Announcing the “EKFC Legend’s Match~2017!”. 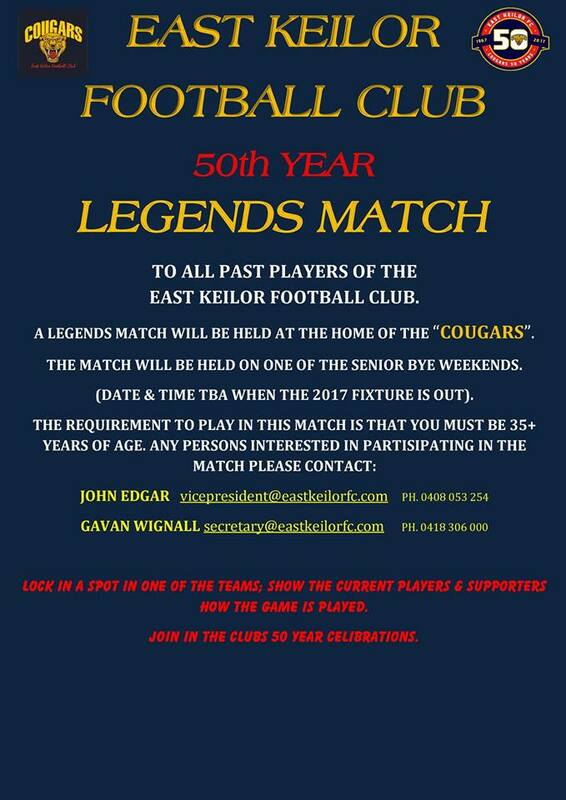 If you are a past player of the EKFC and keen to participate in our 50th year legends match, please get in contact with Gavan or John. Let’s make it a big day and get friends and family involve barracking/supporting the legend’s of the East Keilor Football Club. (Date to be confirmed after EDFL fixture announced).